I’m going to start off this post by admitting something. Sometimes, I’m a little overwhelmed. Okay… sometimes I’m a lot overwhelmed. When I’m feeling like I can’t possibly do one more thing without having some type of breakdown, I always stop to make a list. Russell & Hazel “to do” sticky notes have made my life a whole lot easier in that regard. But, I always feel like something is missing. I can’t consistantly have my work Outlook calendar in front of me (which is impeccably organized I might add) so I need to find a way to make that come to life. I need a planner and I need to organize that planner, stat. I stumbled across this first photo on Pinterest and knew what I had to do… gold mini binder and mini smartdate month tabs, please! Oh, and washi tape for extended projects and market weeks. I breathed a sigh of relief as soon as the order went through. In a few short days I’ll be on my way to some serious organization. The planner will also look really cute on my desk (I’ve yet to pick this out, I’ll revert back later) in the new apartment. Maybe it will look like one of these for about two seconds… a girl can only hope! Do you ever wonder why your house never looks like the makeover shows on TV or fashion bloggers houses when they are featured on other blogs? Well, it’s because of the styling. You might think that you can simply stack books on your acrylic coffee table or throw any matching pillow onto your couch, but that’s not always how it works. Some people have an eye for color, pattern, and size but other people may have to work on it. Here are some of my favorite examples of really, really good styling that don’t necessarily follow all (or any) of the rules. Things were crazy my first five days in a new office with a new role! My desk is all set up now thanks to some seriously pretty office supplies from The Container Store. I love that I don’t have the same supplies as everyone else, bringing your own can really make a cube feel like home (sort of). I’ve picked up the style of the other people in my office and unfortunately it’s a mixed bag. Seems like half of the girls wear “trendy” clothes, lots of colored jeans and Zara… then the other half wears very “office appropriate” clothes, lots of pencil skirts and heels. I’m going with trendy or else I’d be bored in a week. Like I said last Sunday, I’ve decided to lay everything out for the week to come so yesterday I worked on that for this week. The weather being in the 50s and 60s mean a lot more options to layer. I’m taking inspiration from these lovely ladies this week. I feel stifled. I really dislike sitting on my computer on my bed or on the couch. I need a little corner somewhere that’s my own. 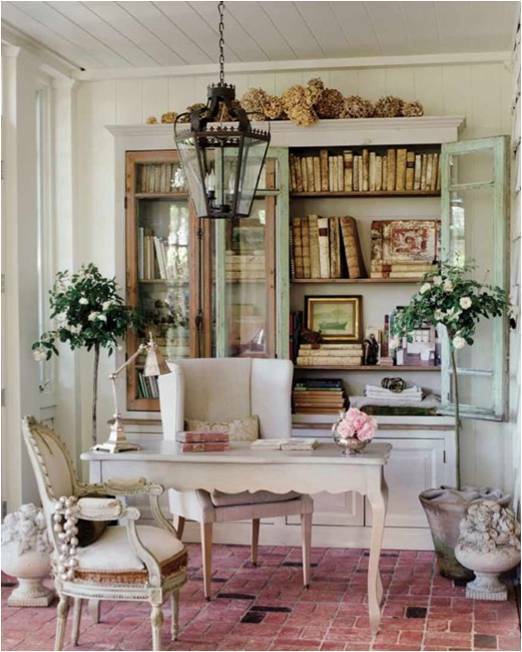 Complete with an inspiration board, a really pretty white chair, and as many Russell & Hazel accessories I can possibly fit on the desk. Sigh, a girl can dream. I’ve been slowly buying home pieces from West Elm and Anthropologie just waiting for the day when I will be able to use them again. When I had my own place, my style was confused. My bedroom looked amazing but the rest of the apartment looked so disjointed. I truly believe a home is a direct reflection of your personal style, or your style as a couple. Well… next time, whenever that may be, I’m so ready! Here is some of my home decor inspiration. I have to force myself to only use one image of Bri Emery’s loft but I just want to make sure you all know that if I could clone it and move it to the East Coast it would be mine too! I hope you all had an amazing first week of October. The weather here in New York is being so strange, I can’t decide whether to keep out the cable knit and boots or hit the beach. No matter what the weather though, I can always count on amazing images on Pinterest that defy the seasons (OBSESSED with the first winter wedding images).